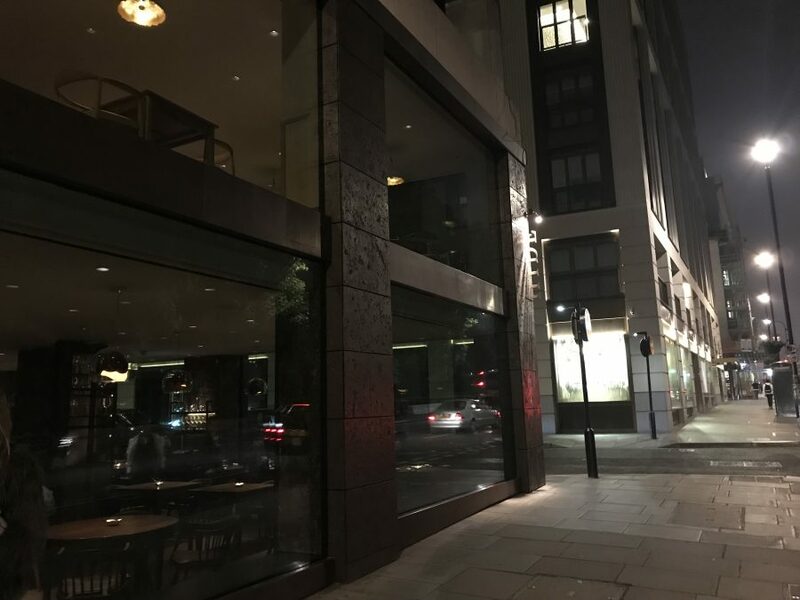 Hide is the flash new restaurant just down the road from The Ritz. Its the creation of Hedonism Wines who own an equally plush wine shop just round the corner. The chef in charge is Ollie Dabbous, of famed Dabbous and Barnyard, both of which are now deceased. 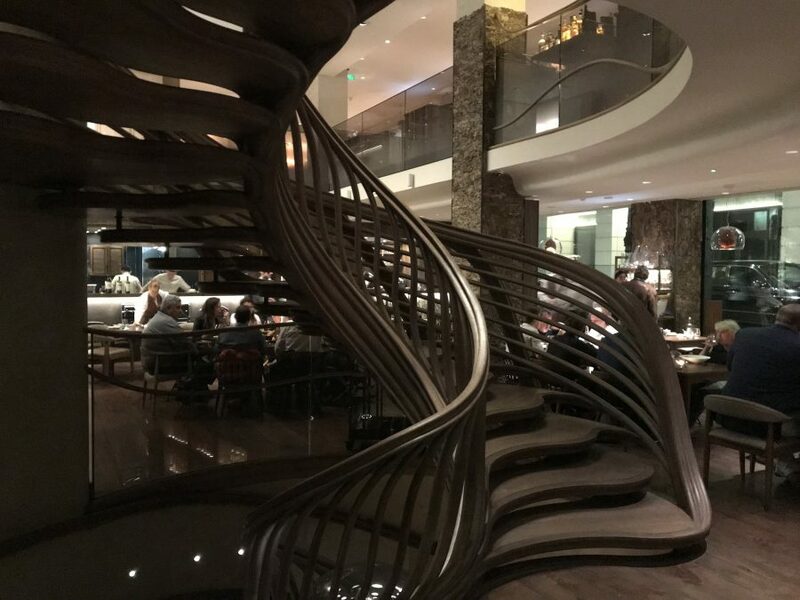 There are rumours how much the staircase that connects ‘Below’ (the basement cocktail bar), ‘Ground’ (the casual all day restaurant) and ‘Above’ (the tasting menu-only posh bit) actually cost. £1m. £10m. £100trillion. Safe to say it’s money well spent; it’s pure gorgeousness from first step to last. 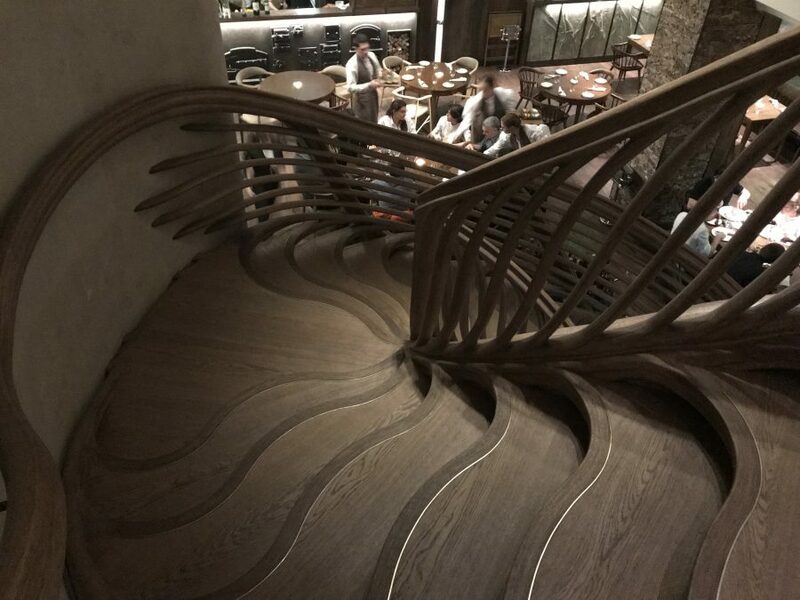 Although after a few wines it feels designed to trip you up. We visit said posh bit on a Friday night and the place is rammed. The menu is £95 a head with one supplement (Cornish day boat fish at £16). The wine list is in paper and iPad form, the latter gives you access to thousands of bottles from their shop which they drive over in a car. Talking of cars, there’s a car lift which leads to a rooftop car park should you wish to make a secretive entrance. 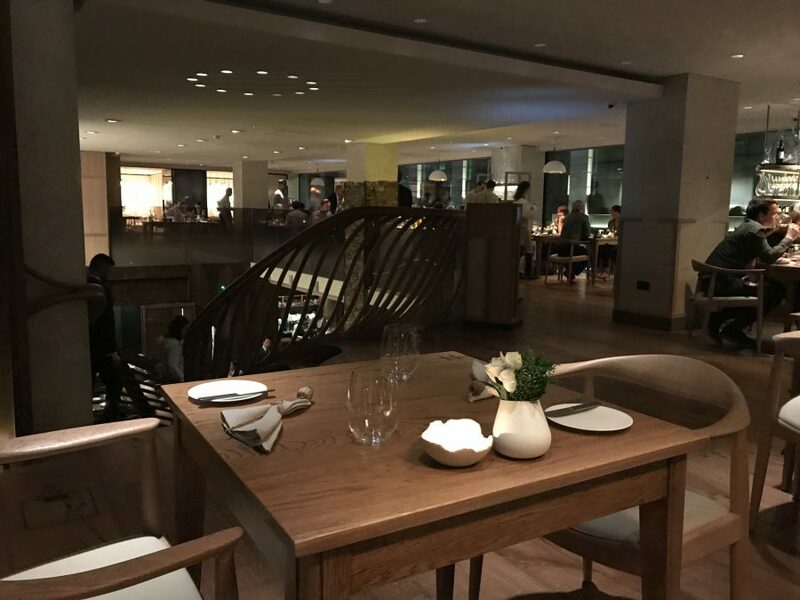 Every table in the restaurant has been lit with Instagram in mind and you’ll find a drawer filled with every type of phone charger you could imagine. This place is well thought out. Things are off to an exciting start with pickled veg and sweet mayo. It sounds simple, and it is, but it’s bloomin’ tasty. 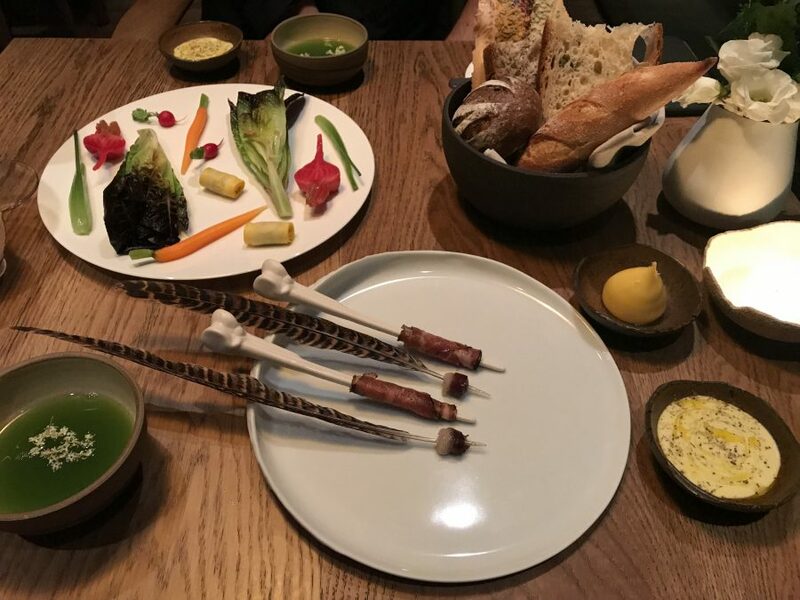 Cured meats, that’s pork and goose, are served on ceramic bones and feathered quills respectively. Really delicious. 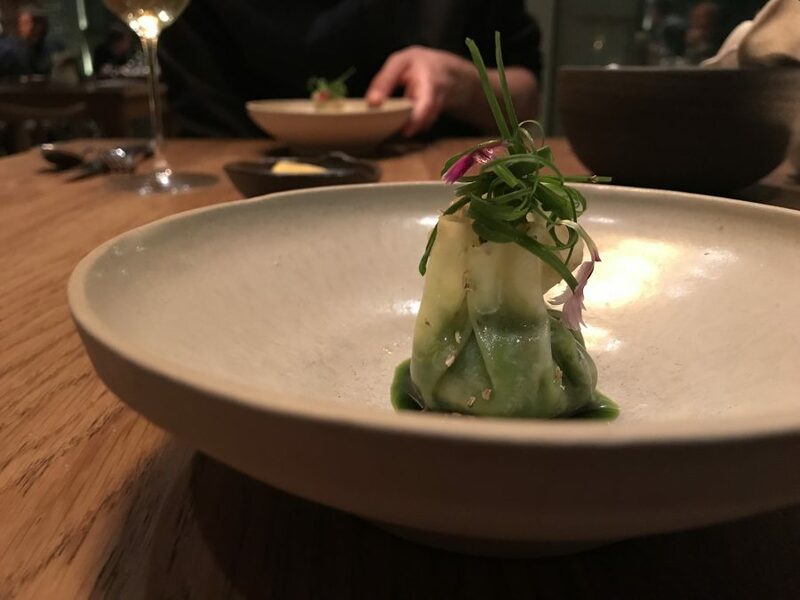 Celeriac with avocado and Angelica seed may look like a wonton but it doesn’t have the same comfort factor you get from one. It’s all light and dainty and a bit vegan-friendly for me. 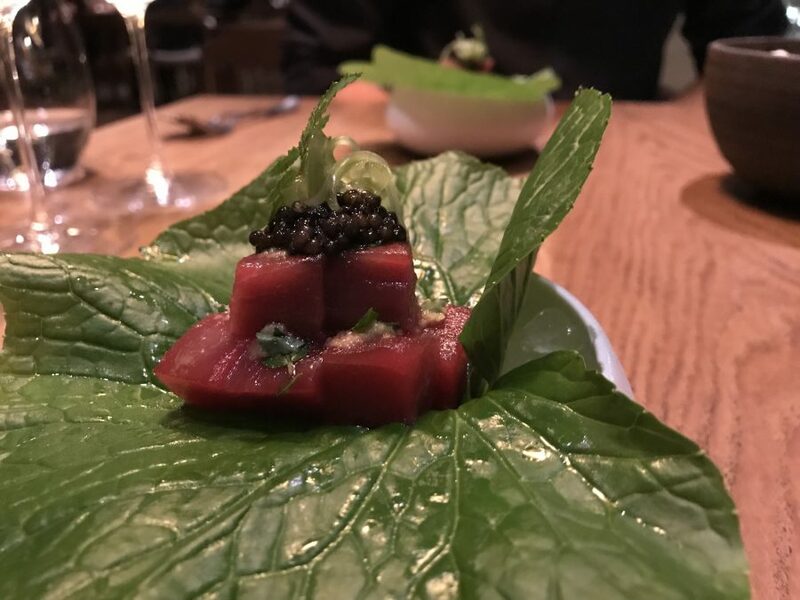 Chunks of raw tuna (seriously good quality) topped with Exmoor Caviar sit atop a giant leaf. 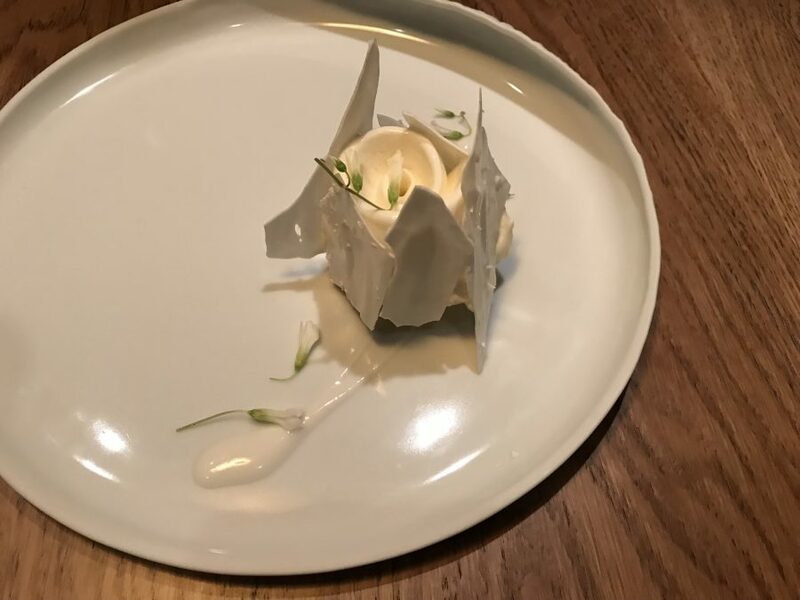 “Don’t eat the leaf” says the waiter. By this point I’ve already wrapped it all up like a taco and shoved it in my gob. The leaf is awful; chewy and bitter. I’m such a fool as that tuna and caviar is exquisite. 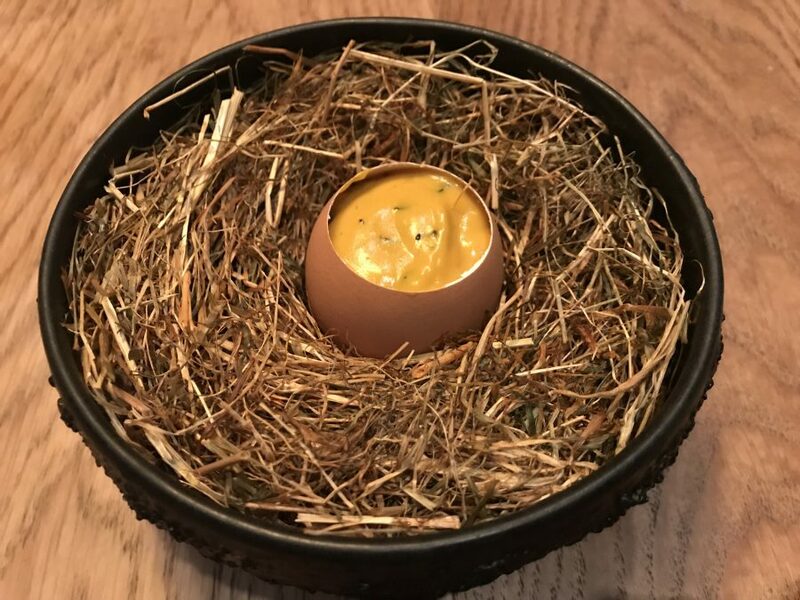 Next up: an egg filled with an eggy, mushroomy custard. 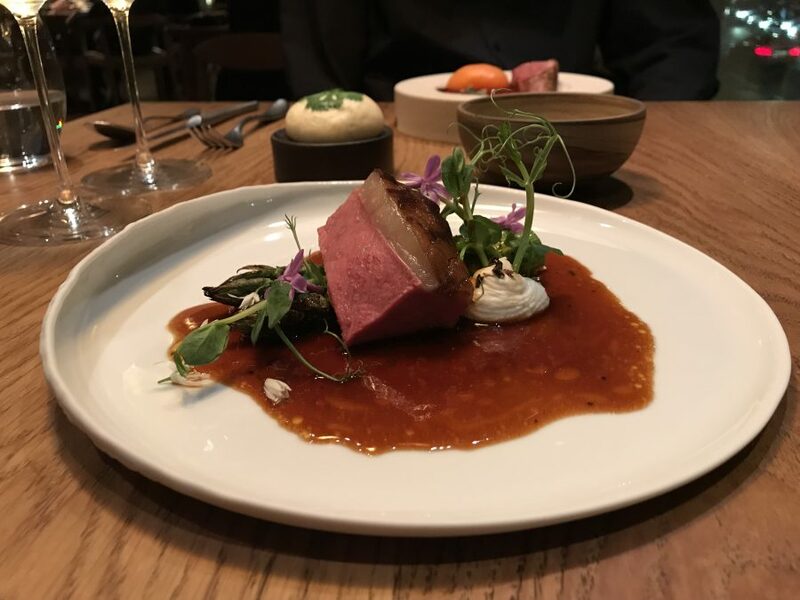 It’s rich and unctuous; those who dined at Dabbous will be familiar with its gorgeousness. A signature dish for good reason I’d say. The next course has two options. 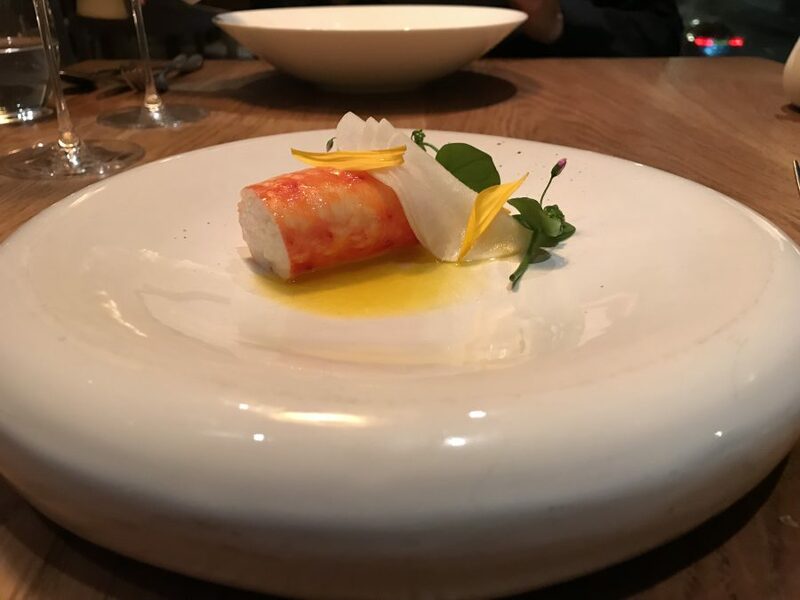 Roast king crab is a glorious bit of cooking which lets the soft, sweet crab sing for itself. 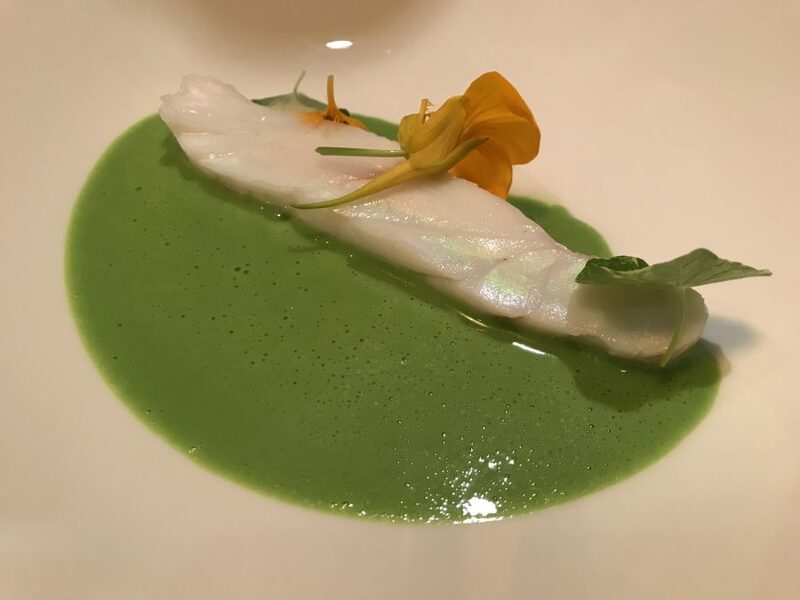 Steamed day-boat turbot is surrounded by a ‘crushed nasturtium broth’ which is more indulgent than it sounds. Organic Herdwick lamb is barbecued giving it smokiness. There’s as much fat as flesh, but it’s perfectly cooked and so full of flavour. The sauce, rich with more lamb fat, is a thing of beauty. 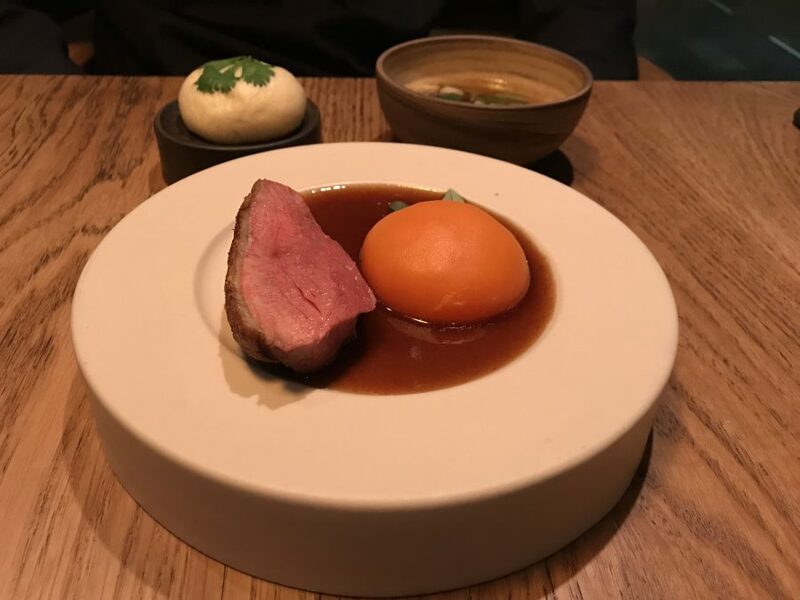 A chunk of roast dry-aged Goosnargh duck comes with a steamed bun filled with the leg meat and side dish of duck-laced broth. This is cooking with big flavours. 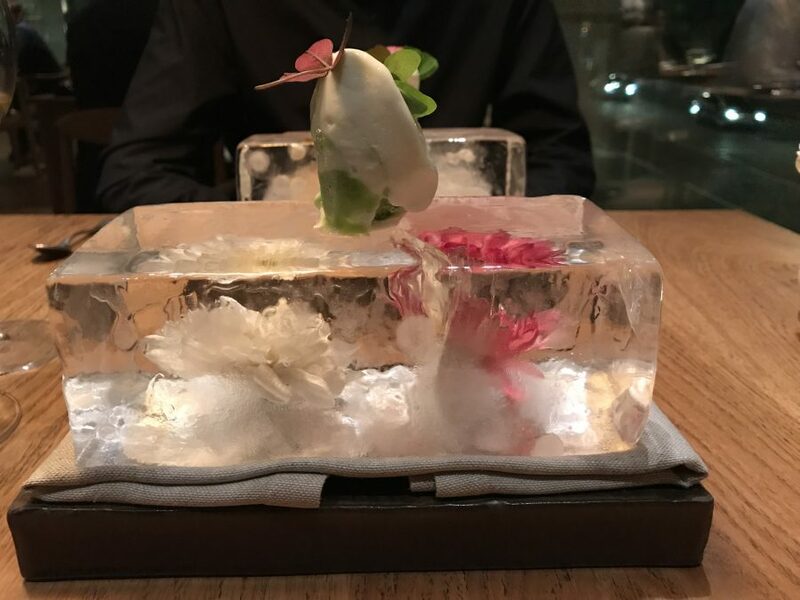 To jump from savoury to sweet, a block of ice filled with flowers is topped with a herbaceous ‘garden ripple ice cream’. 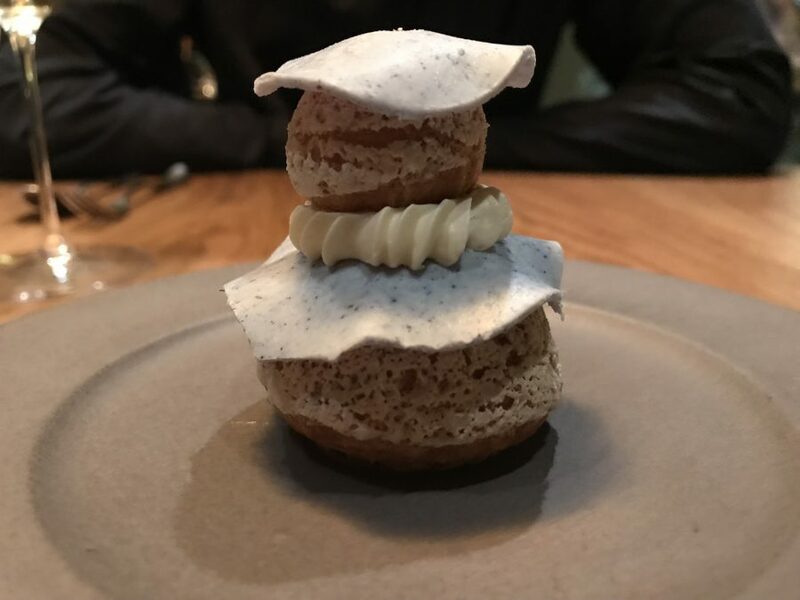 A pretty swirl of coconut ice cream encased in shards of meringue provides more of a sugar hit as does little choux pastry buns covered in marzipan. 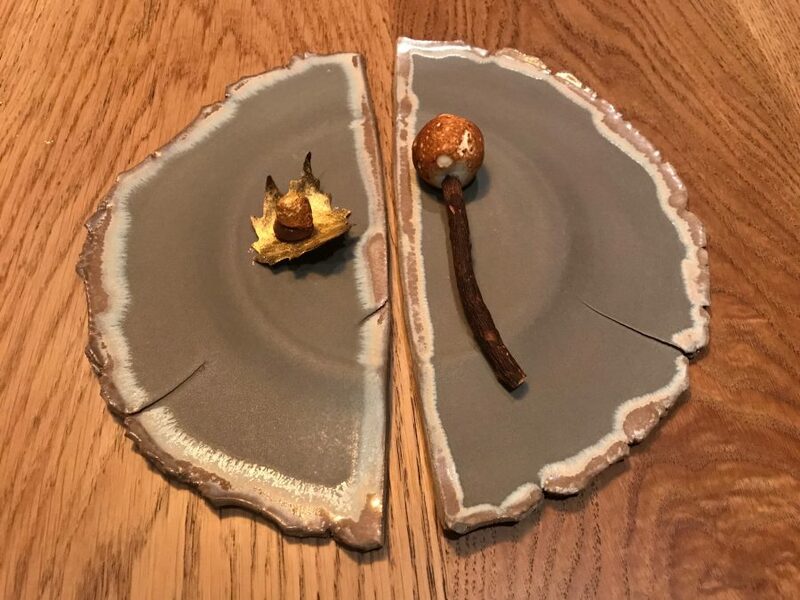 One final treat is a stick of liquorice root top with burnt meringue and a little chocolate hazelnut covered in gold leaf. The whole Hide experience is impressive from the food to the kit-out. The best bit for me though is the service – not snooty, not stuffy, but relaxed and happy and all about making sure YOU have a nice time. And a nice time we had indeed.